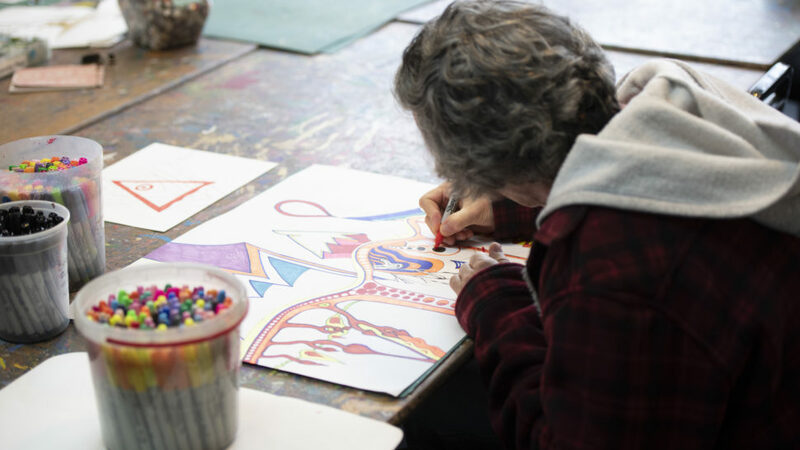 Art and music can be a powerful, creative, calming and therapeutic tool for people living with a mental illness. Thanks to the support from Aroha Philanthropies, our clients can participate in self-expression through art and music. “It’s been really helpful to have an art class I can go to and be with people with similar symptoms,” said Grace, Creative Artist.